The project focuses on the dialogue between architecture and its natural environment; the local typology is reinvented and adapted to the needs of the observatory. 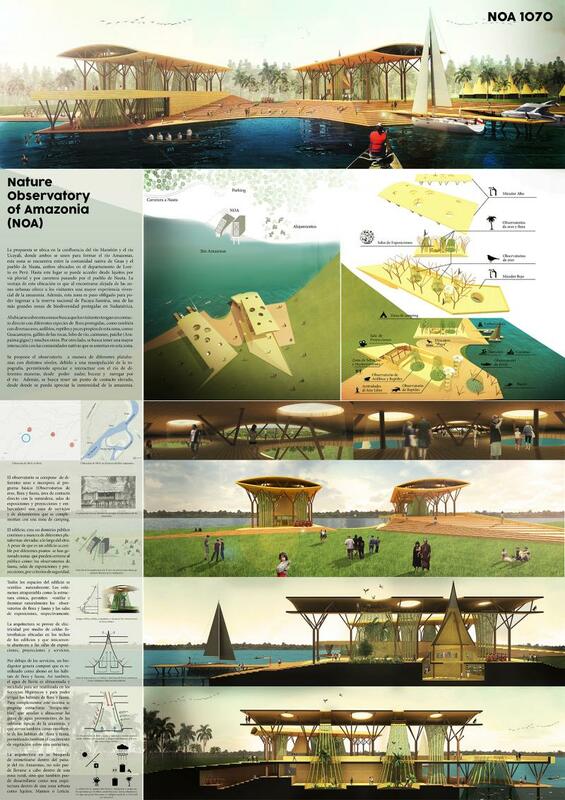 In this way, the observatory is developed in different platforms with different levels that allow to visitants to appreciate and interact with the Amazon River in different ways. In addition, the project creates an elevated contact point, where visitors can appreciate the immensity of the Amazon.